Postpartum Doulas are focused on parents’ needs. Sleep Well’s Postpartum Doulas work with parents in the days, weeks and months after delivery by offering support, education, comfort, and newborn care as needed. 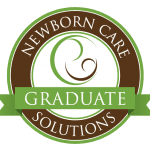 Our Postpartum Doulas provide newborn care including new mother support, feeding, breastfeeding support, sibling care, meal preparation and cleanup, light housekeeping and managing the newborn’s laundry.